Builder, architect and dreamer, Ramzi is a ‘serial’ entrepreneur who tirelessly constructed projects since the start of his professional life in the early eighties. A passionate lover of Lebanon, he has been witnessing the destruction of his homeland, and the erosion of its beauty. In his own way, Ramzi took a stand against this destructive trend by acquiring land in the Shouf Mountain and creating Bkerzay. His aim is to preserve and restore Lebanon’s nature, promote its people’s talents, its vernacular architecture and its quality of life. In his day job, Ramzi is the CEO of A.R. Hourie Enterprises a Lebanese contracting company. After living in Canada for decades, Marianne returned back in 2009 to her first love: Lebanon. She has a wide and diverse experience in the areas of hospitality, banking and event management. Her empathetic, extrovert personality coupled with her organization skills make her perfect for the role of the Bkerzay project director and its main public relations manager. Youssef Haidar is a prominent Lebanese architect and artist. He was responsible for producing the Bkerzay’s master plan and the designation of its special project zoning building regulations. Highly cultured and deeply immersed into Lebanese roots and values, Youssef is an unconditional patriot, a lover of Lebanese nature, architecture and terroir. Marwan is the official forest keeper of the Baakline Forest(Herch Baakline). He is a true lover of the woods and a guide familiar with all the Shouf hiking trails. Marwan has a wealth of knowledge of the forest flora and fauna of the Lebanese mountains. Honey could be his nickname. Sheikh Akram is in charge of bee breeding and honey making. Sheikh Akram has been living in harmony with bees and breeding them for all his life. With her deep background in vernacular architecture, Maha is the main architect of the Bkerzay village. Working closely with Ramzi and a team of consultants to design and supervise the development of the commercial piazza, guesthouses, and other architectural facilities. 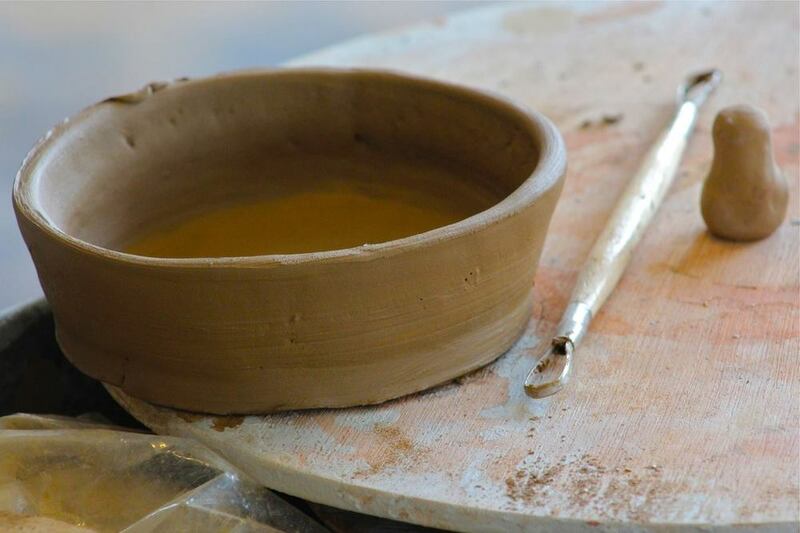 She is an artist living her passion for molding shapes in clay. Visitors to Bkerzay will have the opportunity to meet her on weekends at the potter's wheel and be greeted with her radiating smile. Maha is also a long time friend of Ramzi and his classmate from the AUB School of Architecture. Zeina is an interior architect in charge of the design development of all the interiors and furnishings as well as the site supervision of all the interior scope. Zeina’s attachment to the Shouf and to Bkerzay, her constructive spirit and hospitable character reinforces the positive energy of the Project. Further down the road, Zeina will be carrying a major role in the leadership and management of Bkerzay. Nada Zeineh is a renowned jewelry designer and a potter., she participated in the initiation of the Bkerzay pottery working side by side with Maha Nasrallah and Ahmed Deif. 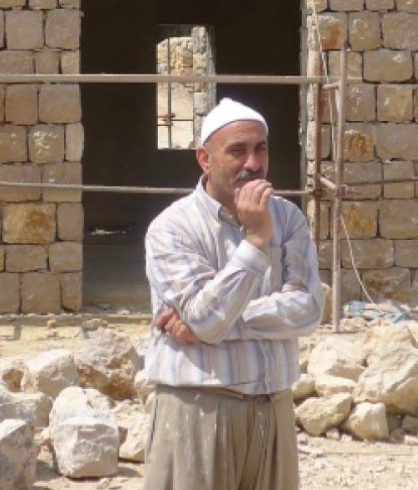 Sheikh Sleiman comes from a family of masons: he has been working the stone since the age of twelve. He carries the secrets of the Lebanese heritage of stone masonry at its excellence. Sheikh Sleiman supervises the team of stone masons and builds with his own hands the intricate components such as the vaults, the arches, the mandalouns and all the other wonders of the Lebanese stone architecture. Ahmed is a young Egyptian master potter; having started at the age of 14 in the Fayoum pottery school, under the tutelage of Michel Pastore and Evelyne Porret, he joined Bkerzay at its inception and currently runs the pottery studio, gives courses and is responsible for its production. Lara possesses a deep knowledge and wide breadth of experience in sustainability in numerous regions of the world. Although based in Paris France, her belief in Bkerzay and strong commitment to it, has led her to join the project as an active advisor and actress on sustainable development and communication matters. Lara runs a specialized consulting business advising on sustainable developments in various continents. Maher is a successful land developer working and living in the USA. An old classmate of Ramzi at the AUB school of Architecture and a graduate of Columbia University in urban design, he acquired a land in Bkerzay for his love of the Lebanon and has participated in shaping the vision of Bkerzay. Maher brings to the Project a wealth of wisdom in his advisory role on the Project. Sheikh Hassan is an ironwork master and a poet. He produces and creates wrought iron work known and referred to as ‘arabic ironwork’.